Nearly 4 in 10 parents in the region with children up to age 12 reported that they have some sort of child care arrangements (37%). Parents of younger children were more likely to report this. Nearly half of caregivers with children up to age 2 reported that they had child care arrangements (45%). More than half of parents with children ages 3 to 5 reported this (52%). CHILD CARE VARIES BY RACE, NUMBER OF ADULTS IN HOUSEHOLD Responses varied by race. Five in 10 parents and guardians of African American children (50%) reported that they had child care arrangements. This compared with 3 in 10 parents and guardians of White children (34%). Responses also varied by the number of adults in the household. Nearly half of families with only one adult in the household had child care arrangements (46%). That compares with fewer than 4 in 10 families with two adults in the household (36%). CWBS also asked, “Which one of the following categories best describes the primary child care arrangement you have for (your child)?” Respondents were given 10 choices. The most common response in the region overall was a relative or friend. Responses varied by the age of the child. (See graph.) A relative or friend is one of the most common arrangements for all ages. 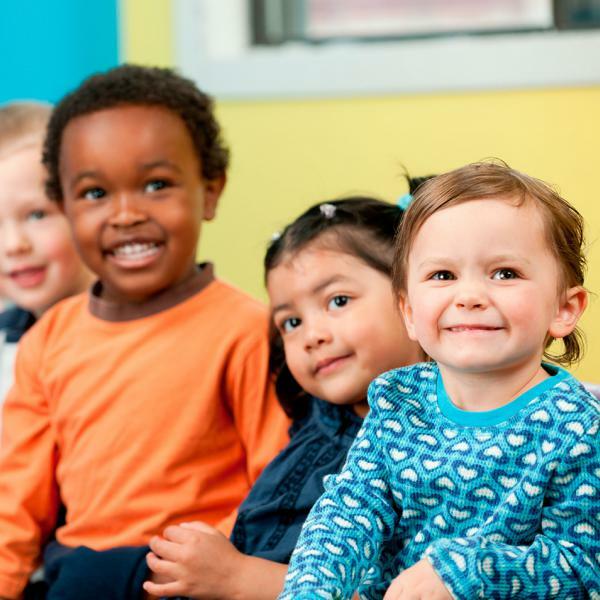 Three in 10 of the region’s families with children ages 3 to 5 use a preschool or kindergarten not affiliated with their local school district (30%), while fewer than 1 in 10 use a preschool or kindergarten that is affiliated with their local public school (5%). About 4 in 10 families of all income levels with child care arrangements used a relative or friend for child care. However, use of a child care center varied by income. About 3 in 10 adults earning less than 200% of the Federal Poverty Guidelines (FPG)1 used a child care center (31%). This compares with only 5% of families earning more than 200% FPG. Child care plays an important role in a child’s early development. Child care also provides families the opportunity to work and earn income. These questions help us to better understand the child care needs in our region and can inform the conversation about improving access to child care for all families.